program current as at 23 May 2018. Show Title Venue Time Ticketed or Free? All roads are leading to Tamworth. People are either packing or they are on their way. 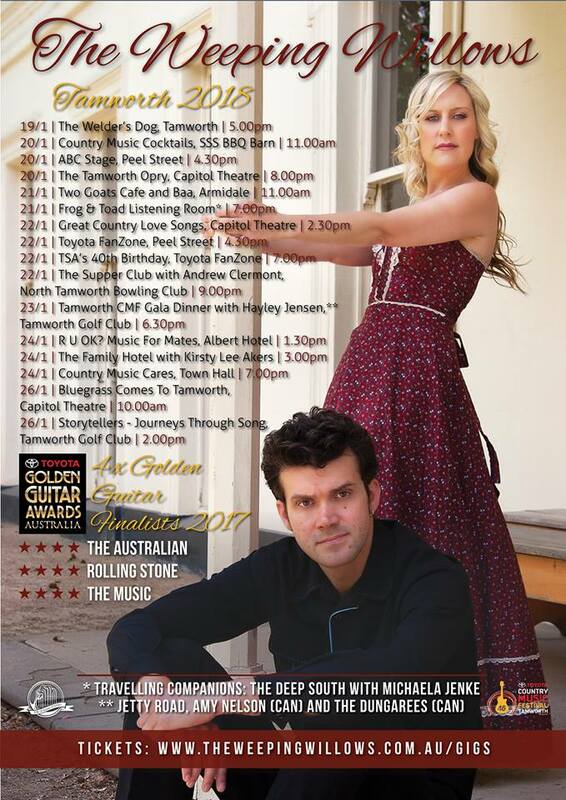 Tamworth Country Music Festival is not just about the music…though it wouldn’t be a music festival without it! It is about the friendships that you make, the atmosphere and the city itself. It is about the amazing sense of family that you get from being with like minded people who share a passion for words and music and for the generous spirit of these beautiful country music people. Of course for me, it is going home. 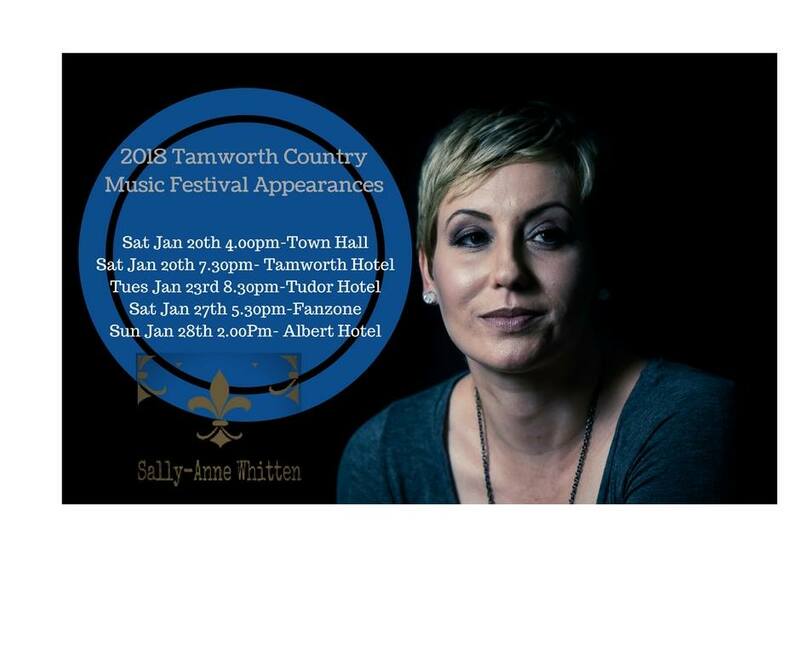 I have not missed many Tamworth Country Music Festivals, and I am only a 100-1 shot of making this one, depending on time, money and availability. A lot of my country music friends are launching albums this year, and for my part, I will be reviewing them even if I can’t get there. Last year’s Tamworth was one of my favourites. I had some really golden moments last year. This year, Col Finley launches a special landmark album. 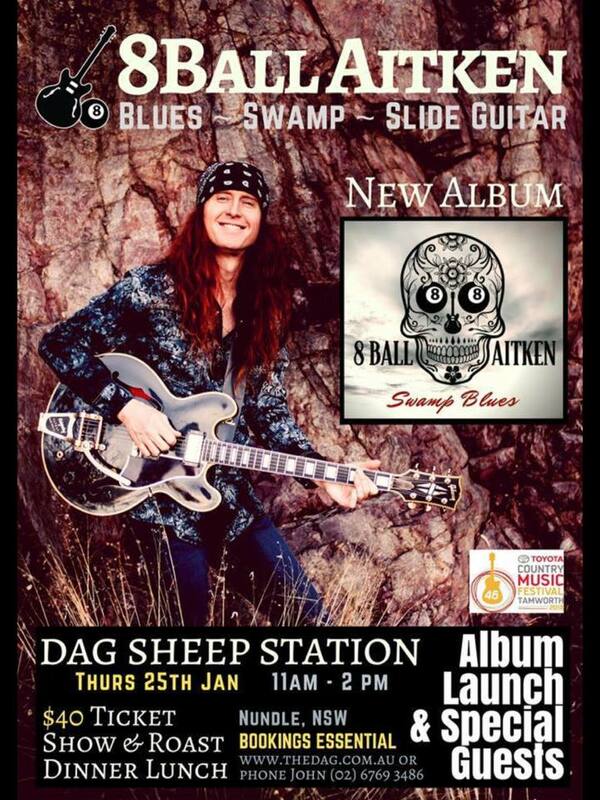 Sally-Anne Whitten, Jodie Crosby and many others will be launching albums. 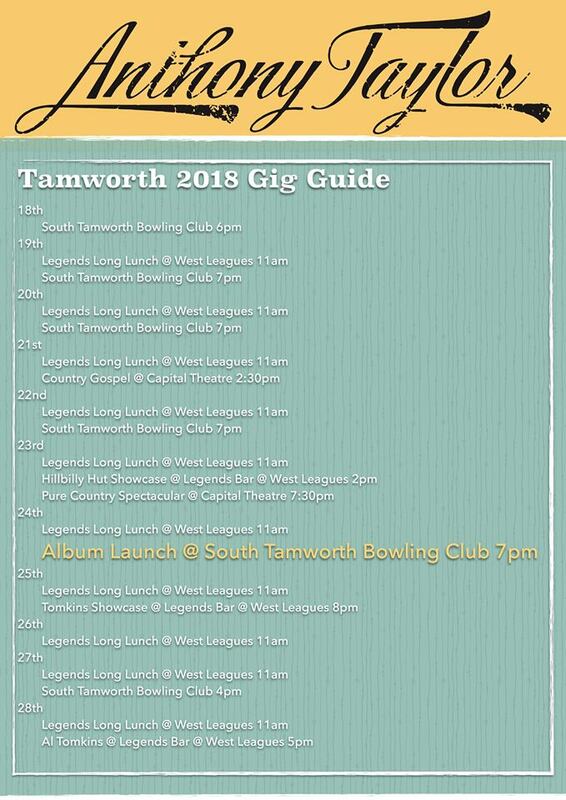 Some of my favourite gigs to go to are Country Cares at The Tamworth Town Hall which is always for a good cause and they have such a great and varied line up. 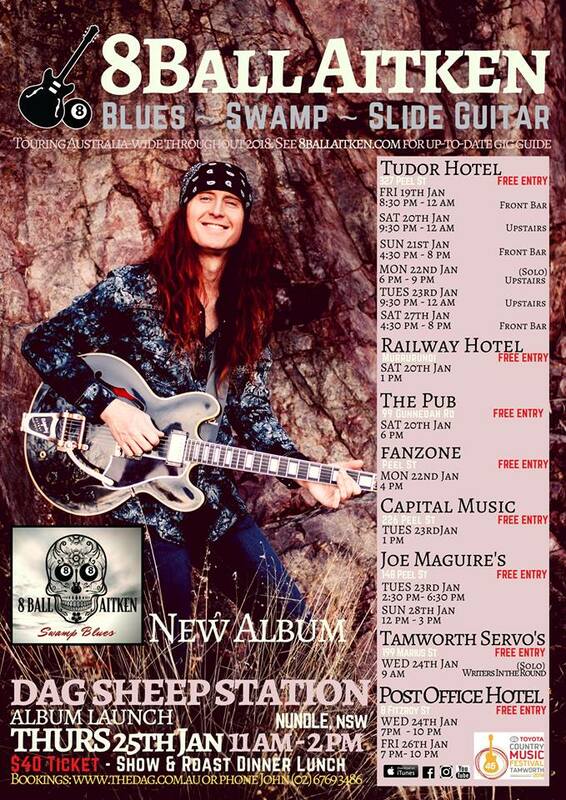 The songwriters sessions at Tamworth Services and at Southgate Inn are great. There is a lot happening out at The Dag. A lot of the headliners are at West Leagues in Blazes but my “God” Mike Carr will also feature at the Legends Long Lunch with Daniel Thompson, Anthony Taylor and Luke Austen again and they are all great shows. 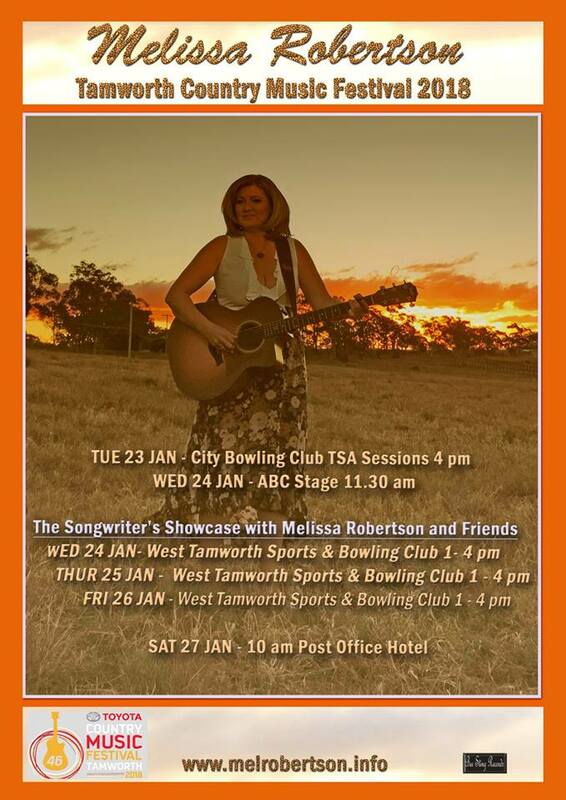 Another one of my favourites is the Ladies of Country Show which is one of the first shows of the festival each year and features Gina Timms with some of the most fabulous women in Australian Country Music. It isn’t Tamworth unless you have a walk down Peel Street and be treated (and sometimes tortured) by the music. Make sure that you call in at Jo’s Corner for one of our very finest artists. Buy some cool stuff along the way, drop in at the pubs and shopping arcades and centres along Peel Street and check out what is happening at Fan Zone. There are museums and galleries and lots of Country Music things to check out. The clubs are very supportive of country music. You don’t have to spend a fortune. There are lots of free shows, cheap meals, things to see and do. Buy some cds and merch from our musos and have a chat to them. There are a lot of live radio shows happening. Tamworth is a big place. Last year there was something like 170 venues. I remember when there was one. Most of them are air conditioned with free water and seating. There are cheap club memberships and even the big gigs are reasonably priced. Accommodation is always a bit expensive and hard to find sometimes but there are some cheaper options. I stayed in a pretty cool place last year for a reasonable cost. They are there if you look for them. Give yourself plenty of time to get from one gig to another. There are free guides as well as the official one. Most clubs and pubs have a schedule for you to follow. Tamworth is an experience. There is a lot more to it than you think. It is hard to describe to people who haven’t been. Of course there are the awards at the end, but there are also the People’s Choice Awards, the TSA awards, ICMA awards and others. 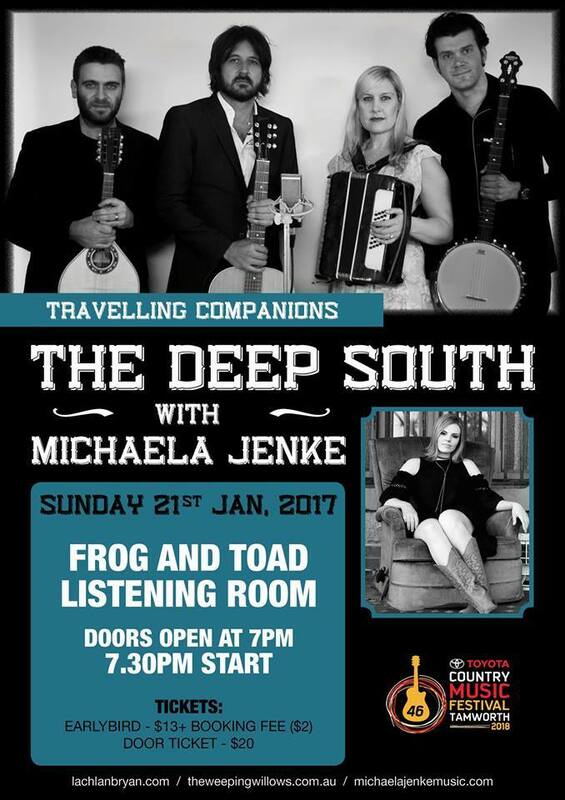 All 79 kinds of country music are on show as well as the Cavalcade and lots of charity gigs and events. Sometimes you don’t know where to look. You could be walking on something special, sitting next to a statue, sticking your hand into cement or walking by a special rock. Tamworth is now 24/7 – once upon a time you were scratching to find a lot to go to, now there is sometimes too much on at the one time and it is hard to pick or you can go without sleep and attend something every hour of the week for 10 days or more. Tamworth is my home, it always will be. Please be grateful that you are there and enjoy all of the beautiful moments that happen. Nothing is perfect in life but considering how much goes on, I think that they still offer the most, the best and at the most reasonable cost. There are so many people who want to go and can’t. Think of them when you go to complain about the heat or the flies or the fact that you may have to line up for a while. To me, TCMF is four letters that spell magic. I didn’t always think that way, growing up there but it is that way for me now and it always will be. It is good to see so many Indies doing gigs. 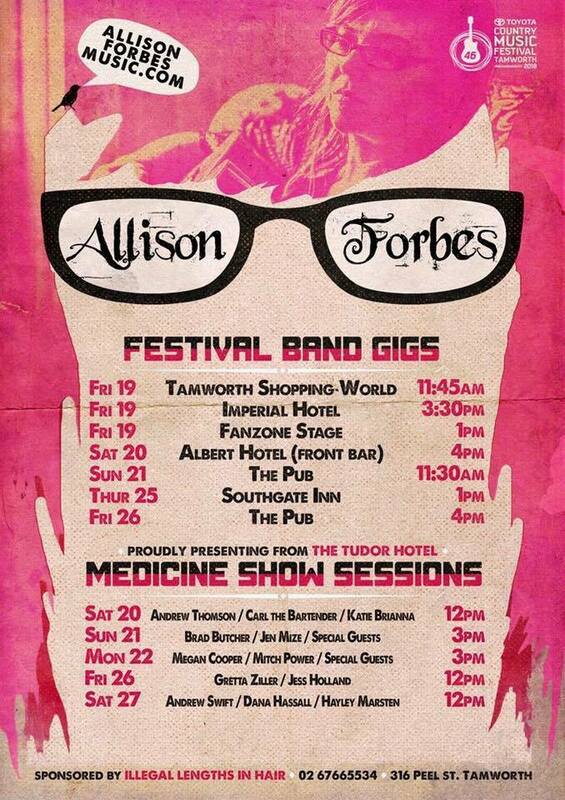 Check out Allison Forbes’ medicine shows and Melissa Robertson’s Songwriters’ Showcases to soak up the best of those. Congrats to all at the Academy. Try to see a bit of everything. Make lots of good memories…..one last thing…..#TeamAleyce. For the love of God, give her a bloody GG! My Little Sis and future brother in law…..go see ’em, you won’t be disappointed!